The usage including bookings; payments and all other related activities by the User on southafrica.net are entirely between the User and the Tour Operator/Travel Agent and related service providers. South African Tourism, its agent/s and/or its employee/s shall not be liable for, and the User/s hereby waive/s and abandon/s any claims of whatever nature including but not limited to that of fraud, misrepresentation, injury, loss or damage of whatever nature, whether arising from the South African Tourism's default, negligence or otherwise as a result of the usage of southafrica.net. 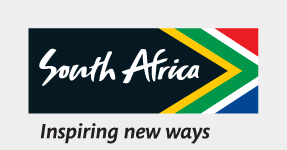 By making use of the domain address southafrica.net and any other Web address belonging to South African Tourism the User/s accept the terms and conditions stipulated above.